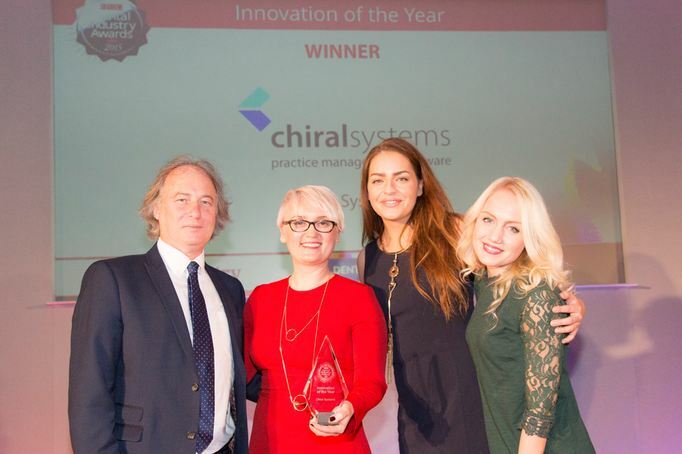 Chiral Systems has been named winner of the Innovation of the Year Award at the inaugural FMC Dental Industry Awards, the only business awards recognising the progress, effort and enterprise of support service providers within the UK dental industry. 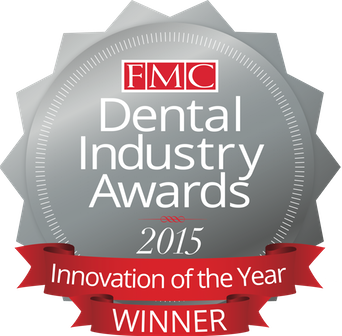 Judged independently by leading clinicians, renowned academics and household-name figures from the dental industry; the awards celebrate the outstanding achievements of people, teams and companies committed to developing their products and services to the highest level possible, thus serving as an example and inspiration to thousands of fellow professionals. said Cristina Sabau, MD of Chiral Systems. Our moto is not to imitate, but to innovate’, she continued. ‘Innovation is the lifeblood of any organisation and over the coming years of economic uncertainty and more regulatory demands, there has never been a more pressing time for healthcare software innovation. Provided impressive client testimonials and supporting evidence as proof of their powerful marketing strategy. They displayed innovation in thinking, production and marketing to accomplish an overall superb innovation. A huge thank you for being there with us on this journey, and for your contribution to our innovative product. Please continue to support us, and spread the word. Feel free to distribute our video to anyone you know looking for a system or who might be interested.